The Mermaid's Tale: Just-So stories, revisited (again! ): not even lactase? Just-So stories, revisited (again! ): not even lactase? A lot of us love to spice up our publications, and our contributions to the media circus, with nice, taut, complete, simple adaptive evolution stories. Selection 'for' this trait happened because [*whatever nice story we make up*]. The media love melodrama, which sells, and our stories make us seem like intrepid insightful adventurers--those 'selective sweeps' that we declare, by which the force of some irresistible allele (variant at a single gene) devastates all its competitors, sometimes over the whole world, suggest such epic tales. Mammals when weaned generally lose the ability to digest milk. Adults usually can't break down the milk sugar, lactose, and the result (so the story goes) is grumbly gut and, one might put it, farty digestion leading to early death or (understandably!) failure to find mates and so reduced fitness. The reason is that while infants produce the enzyme lactase that in their gut breaks down lactose, the lactase gene is switched off by adulthood: if we don't drink milk we don't need it, and there'd be no mechanism to keep the lactase gene being expressed. The gene is called LCT and its regulation, due to DNA regulatory sequence located nearby in the genome, is what determines whether gut cells do or don't use the gene. How, as a mammalian infant ages, this gene is gradually shut down is not well understood. And while this is true as a rule for humans, there are exceptions. The first that was carefully studied was the high fraction of Europeans, and especially northern Europeans such as Scandinavians, who can tolerate milk as adults (most people elsewhere, except in parts of Africa--see below--lose this ability, so the story goes). 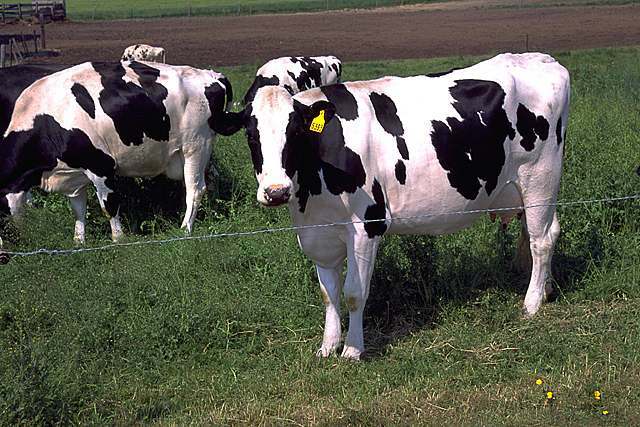 The frequency of the Lactase Persistence allele (genetic variant), call it LP, is highest in northern Europe, and diminishes towards the middle East. The genetic and archeological evidence have been interpreted as showing that the LP variant first arose by mutation in the middle East--say, somewhere around Anatolia (Turkey)--and spread gradually, along with dairying, into Europe. Because of a supposed selective advantage, there was a sweep of LP as this occurred, so that by the time one gets to Scandinavia the LP frequency is high because, the story went, they had been dairying there for thousands of years. A roughly 1% natural selection advantage is assumed for this gradual, continent-wide increase in LP's frequency. One can make up stories about how adults would live longer or rutt more successfully if they could slug down their domestic ruminants' fluids, but those are difficult to prove (or refute). Anyway, this was the adaptive scenario. When I talked to various clinicians in Finland, they generally dismissed the idea that inability to digest milk was harmful in any serious or life-threatening way to those Finns who by bad luck did not carry the LP variant. And when I ask Asian students in my classes if they can drink milk (they're not supposed to be able to according to the adaptive story) they almost all say 'yes' and are curious why I should ask such a question! So I had my doubts, and for this and other reasons as well. Even though all the evidence that LP had arisen in Anatolia and risen in frequency, the idea of a steady 1% advantage all across Europe over thousands of years, seemed at least speculative--that is, even if there was a selective advantage for some reason--the story was rather pat, like so many selection stories. A demonstrated fitness-related advantage of adult milk-drinking was asserted but simply wasn't shown. Perhaps the reason for the high frequency of this LP trait was only an indirect result of something being selected for nearby on the same chromosome, or some other reason than nutrition why LP variant would have been favored. Indeed, there was even evidence from residues in Anatolian pottery that milk sugar was cooked into digestibility long ago--so a genetic adaptation to it wasn't even necessary. Regardless of these details, the story stuck. It made a good tale for news media and textbooks alike. But now a new paper, by several Finnish authors, has appeared in the Spring 2012 issue of Perspectives in Biology and Medicine, and it suggests something different. It suggests that milk usage hasn't been present in northern Europe for nearly long enough to explain the LP frequency. Their idea is that the variant spread into northern Europe, along with people, but that they brought the high LP frequency with them: it had already risen to high frequency there. 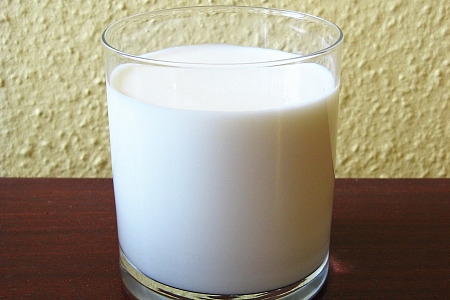 It is much easier to envision a combination of luck and selection, in some relatively localized population in Turkey or thereabouts, gradually adopting and adapting to adult dairying, which then spread as they expanded their territory in part because of their advanced farming technology, then it is to envision a continent-wide, steady selective story about milk-drinking. The point here is that, if the new paper is right, even lactase persistence, which has become the classic exemplar of recent human adaptation (displacing even sickle cell and malaria in the public media), is simply too simplified. Can't we even get that one right? One has to say that the idea of lactase persistence being evolutionarily associated with dairying culture probably means something. East African populations that have a history of dairying also have a similar LP persistence, that confers at least some higher-level of digestibility of lactose into adulthood--but this is for different mutations affecting the gene's regulation, not an historical connection to the Anatolian story, nor shared with surrounding non-dairying population. Similar selective advantage has been estimated for the African population. So either the lactose digestion story is basically correct, even if some details are still debatable, or this is only a coincidence. Or here, too, some other effect of this chromosome region was involved. Two such kinds of coincidence seem rather unlikely. Thus, while some aspects of this story may be correct, the point is that even in the classic supposed clear-cut example of recent human evolution, that has been intensely studied in modern genomic detail, maybe we still haven't got it right in important ways. The message is not to dismiss the LP story, but we should temper the confidence with which simple selection stories are offered--in general. Unfortunately, there's no reward for humility in our society. We personally think that claims should be tempered, so that we as a scientific community, and the community that pays for science, can more accurately and quickly tell what is worth following up with further funds, and why. We also feel that our understanding of the universe we live in, and the system of life of which we are a part, is the job of science--and the job of universities is to educate. To us, that means provide students with the best understanding we currently have about the nature of life, history, arts, and technologies, not to pass on a superficial lore. This is, we know, rather naive! We also know that neither we, nor a puny blog like this, is going to have any serious impact. But if we can keep these issues before the eyes of at least some conscientious people, even if we are regularly arguing for less rather than more claims, and regularly pointing to what seem to us to be deeper questions worthy of investigation, then we have hopefully done at least some service. I think I am missing something. I have always assumed that the spread of lactase persistence in Western Eurasia was brought about by a population replacement of Neolithic farmers spreading out of the Near East. I thought that was the standard model rather than a selective sweep without a population replacement. Maybe I just thought that because the putatively neutral genetic markers suggest a population replacement in Europe and it would be difficult to reconcile the LCT story without a replacement. ....I'm misunderstanding something, I'm sure. ....also, anecdotally, my Korean significant other has cear difficulty digesting lactose, despite her claims to the contrary. There has been debate about how much there was cultural diffusion the old paleolithic people just learning agriculture from their neighbors, as opposed to pushing in or marrying in of people expanding from the Middle East. In either case, the idea has been that there has been natural selection along the way, leading to the higher frequency of the main LCT mutation (and, indeed, another like it that may be an independent mutation, found in Scandinavia). So the new story--if it's right--is that the high frequency was present in people who moved their genes, not just their technology, into Scandinavia. And there was supposed to be a clear signal of selection that seemed obviously due to some advantage of milk drinking by adults. What that advantage was, was speculation and there have been lots of guesses. Yet the physiological effect itself seems to be less than would necessitate an actual fitness response. The point most important is that this has quickly become the case that proves the point, cited all over the place including to justify expenses in genetic research in disease, reconstruction of human history, and proof of continuing natural selection. And if even this case is not so clear, we need to be more cautious and explore more carefully before making up stories. I'm sorry about your significant other. Have her try yogurt! Or goat dairy products (Anne's sister and her husband run a goat dairy farm! ).